Do you know that you will be able to use a fully-featured video chat with webcam on your device, if you download a Puffin browser? In the evenings I like meeting with my friends and spending time with my lovely son.If we talk about domestic duties, it does not work for me, it's just an activity that brings great pleasure to me. List of ladies who are online now and ready to chat. 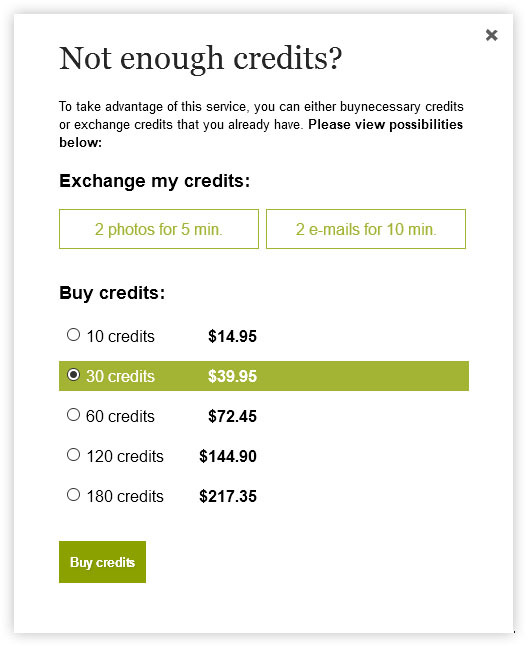 In case you don't have any chat minutes, but you have other credits, for example E-mail or photo credits, you will be offered to exchange them to chat minutes. Afterwards you will be able to chat with the lady. 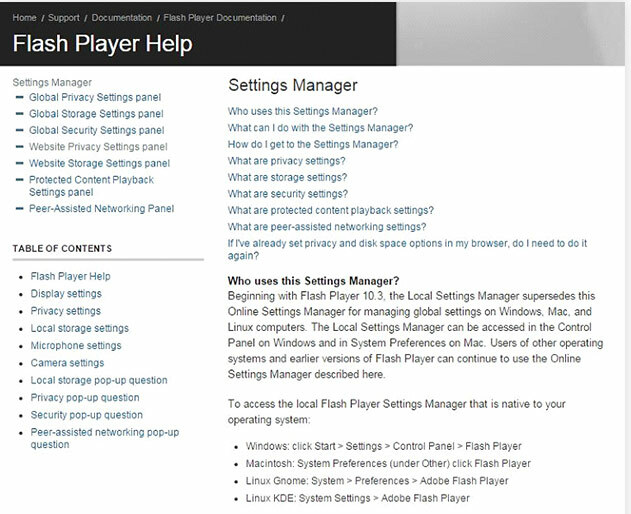 - follow the link to download and install the newest version of Adobe Flash Player. 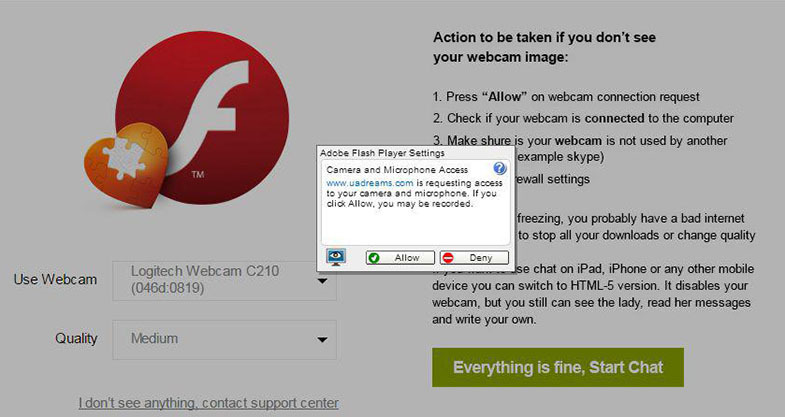 When you start video chat, Adobe Flash Player will request webcam connect permission, so the lady could see you. Allow the webcam to be connected to Video Chat, if you have one. If you use browser Google Chrome, you will have an additional request for an access to the web-cam, you should click “Allow” and refresh the page to load the list of all accessible web-cams. 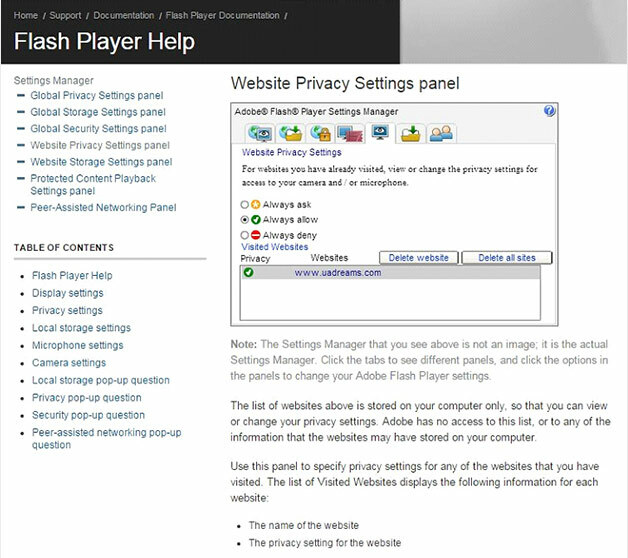 Follow the link on the left side Website Privacy Settings panel and you will go to the department of setting of access to web-cam. Look for the site www.uadreams.com in "Visited Websites" and mark it. Reload browser (close/open). Now during your next entrances window with web-cam access request will not appear again - you will be able to begin chat faster. P.S. You will always be able to change settings to its initial state. If the lady leaves Video Chat (for ex. : by accidentally closing the browser etc. ), then instead of her video you will see the message: Room on hold. Within 3 minutes the room will be either activated back or closed. When video room is on hold chat time is not counted. Within 5 minutes Video Chat room will be either activated back or closed. You will see the following message: Room closed. Lady will not be able to enter the same chat room again. Please go to Video Chat main page to check if she is online or not. Room closed message is also valid if you have both agreed to finish conversation. You should click on X in the right upper corner of video chat room or simply go to any other page. You can accept this invitation and click the button "Chat Now"
You can move this invitation for 5, 10 or 15 minutes or 24 hours. If at this moment the lady is still online, you will receive this invitation once again. Reject the invitation, so the lady will be able to invite your for chat once again next time. 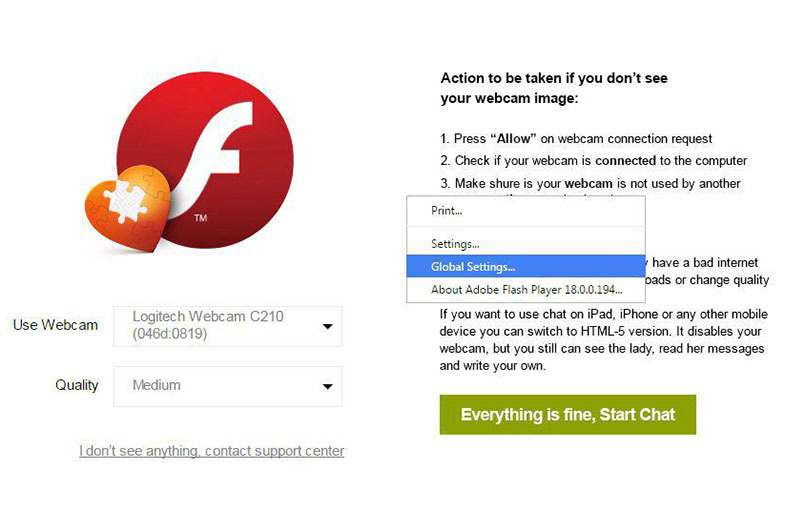 allow the web cam by clicking on "Allow" in the adobe flash player pop-up window, that will appear after you connect to chat. if the lady is not able to see you try to access the site and video chat from another browser (Google Chrome or Mozilla Firefox). 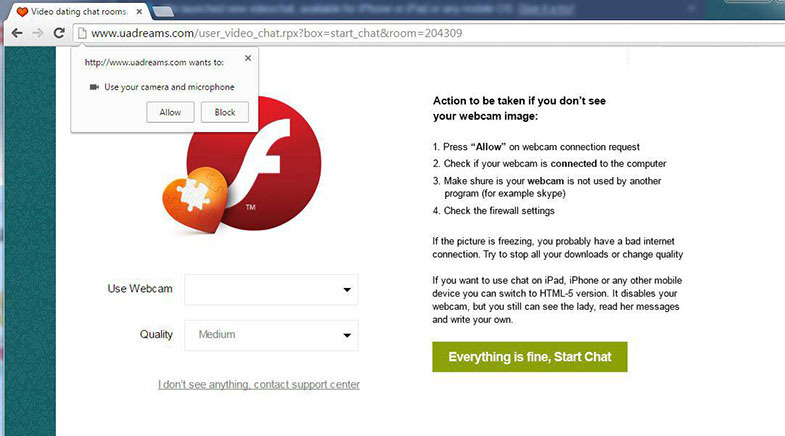 When starting video chat using Puffin browser, the program will request webcam connect permission. You should click “Allow” for webcam to be connected to Video Chat. If “Allow” does not show up and you cannot press the button, change the settings of Puffin browser to full-screen version of the web-page. Then “Allow” button will appear. 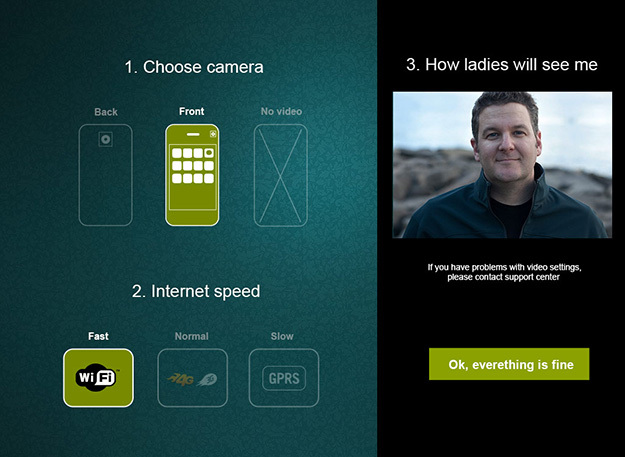 Manual for Andriod video chat application. To make sure the video chat works properly during your conversation with the lady and to make sure your video is visible for the lady, please use the UaDreams Video Chat application instead of the regular website. Check the video of you, it's the video that the lady will see during the conversation with you.